Most superhero fans are familiar with heroines like Wonder Woman and Supergirl, but Black Canary has flown a bit under the radar -- even though she’s been in comic book pages since 1947. She just celebrated her 70th year on the DC Comics page, and she’s seen a resurgence in popularity thanks to a new presence on television. TV audiences have become very familiar with the Arrowverse versions of Black Canary thanks to portrayals by Caity Lotz and Katie Cassidy. Juliana Harkavy’s character is taking up the mantle as Arrow premieres its sixth season of the show. With Black Canary being a part of the larger Team Arrow in the show though, fans who don’t know her comic book history might not realize how big of a character she truly is. Black Canary hasn’t just been the Green Arrow’s comic book sidekick. She’s been his wife, a member of the Justice League, had her own band, and been an integral part of the Birds of Prey. 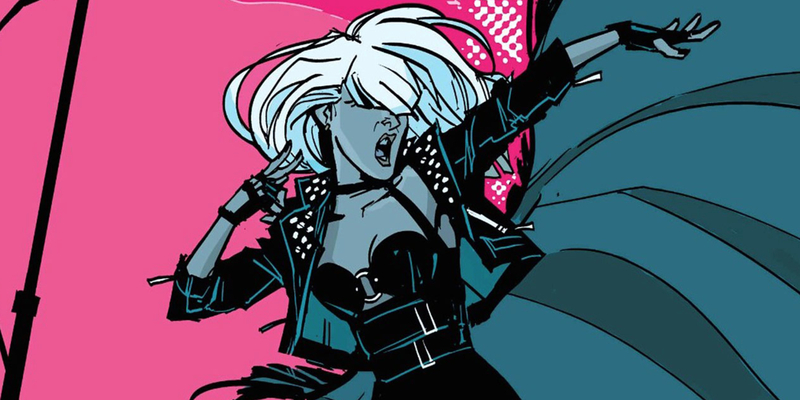 From her debut in a short story in Flash Comics to her recent music releases, we’ve got everything you could want to know about the woman with a love for fishnets and martial arts with the 16 Things You Didn’t Know About Black Canary. Writer Robert Kanigher (probably best known for his involvement in the Wonder Woman franchise) and artist Carmine Infantino created Black Canary to appear in a short story in Flash Comics, but Infantino needed inspiration for drawing a new character. Black Canary is often called his “first character” simply because Infantino didn’t get the opportunity to create the first few characters he drew for writers. According to several biographies published about the artist, he asked Kanigher what he wanted in the character and got “a great line” in response. Kanigher told Infantino to draw his “fantasy of a good-looking girl,” so that’s exactly what the artist did. Funnily enough, Infantino met a dancer while on a trip with the National Cartoonists who looked exactly like his character, and was so taken with her that they dated for three years. 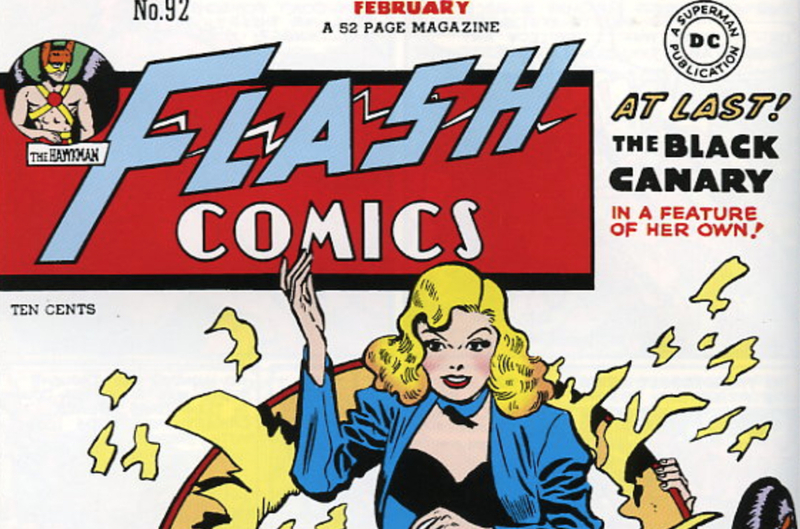 When Black Canary was introduced as a supporting character, it wasn’t for a Flash-centric story, but instead as part of the B-story printed at the back of his comics. She was introduced as someone who could help Johnny Thunder save the day. Johnny Thunder was a guy who basically had control of a genie called a Thunderbolt that helped him in all sorts of precarious positions. Unfortunately for Johnny, no one really liked the character. Even artist Carmine Infantino admitted that neither he nor Robert Kanigher were particularly interested in him. As soon as they introduced Black Canary to his stories though, suddenly, readers wanted to know what was going to happen next. As a result, it only took six issues for Black Canary to become the center of the backup stories and for Johnny Thunder to leave the Justice League. 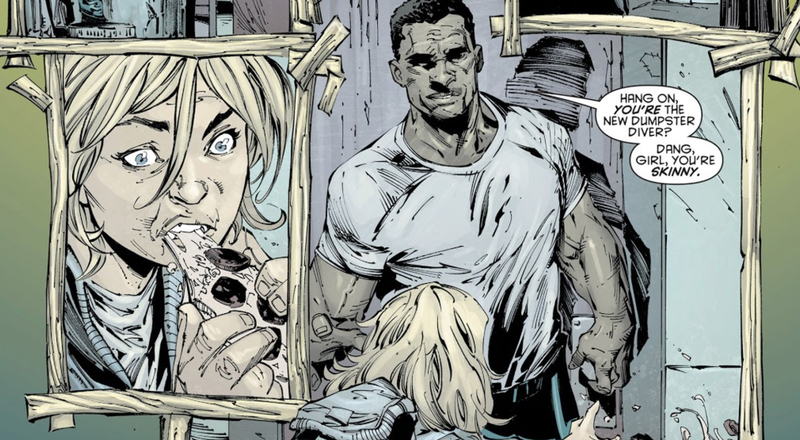 Not unlike the version of the teenager who will go on to become Catwoman TV audiences have seen in Gotham, Black Canary got a new origin story in a Post-Flashpoint comic book world. In it, she grew up on the city streets. This version of Dinah Drake’s story saw her as the child of a teen mother who ended up placing her in foster care. Dinah was a little bit of a trouble maker though and she bounced around from family to family until she ran away at just 10 years old. Dinah wasn’t doing too great for herself, but when former Special Forces agent caught her in a dumpster, he offered her a place to stay as long as she could help clean up his dojo. She wound up learning martial arts from him as well, and when he died, he even left her his dojo. If you’re a loyal fan of Arrow, but not the comics, you’ve been missing out on the relationship between Oliver Queen and Dinah Lance. Though the two have had other relationships in their decades in the comics, they seem to always come back to one another. The original Black Canary was Dinah Drake. 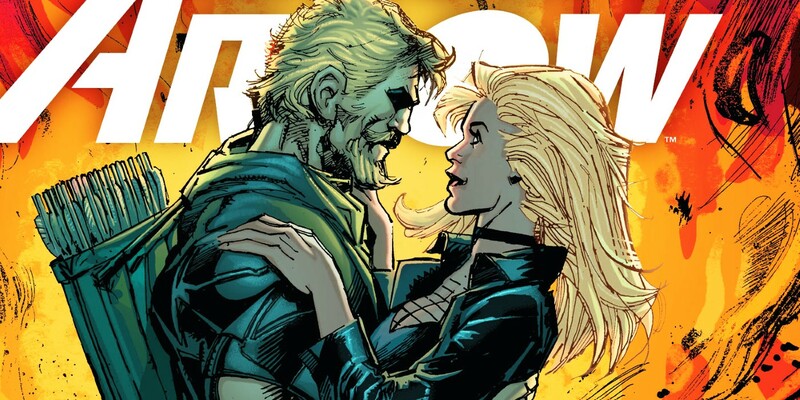 Twenty-two years after she debuted in the comics (and had a relationship with Detective Lance), Oliver Queen entered her life as more than just a member of the Justice League. Due to some impressive retconning down the line though, it turns out it’s not the same Black Canary that was Dinah Drake. Over the years, the duo have fought crime together, fought each other, tried to have children, and led teams of superheroes. They’ve also had some pretty bitter breakups over the years, but it doesn’t seem to matter what universe the characters are in; they always end up in one another’s lives. There have been rumors that during Gail Simone’s run writing Birds of Prey that she wanted to write a romantic relationship between two of the female characters, but DC Comics nixed it. That’s not the case, though she did reveal the edited dialogue that might have sparked the rumor on her tumblr in 2016. The exact line didn’t fit the rhythm of Simone’s scene, so included some placeholder dialogue of “heterosexual to the bone,” which was not fixed before it went to print, and the Canary never came out as a result. The TV series Arrow wrote one of their Canaries as bisexual, though. 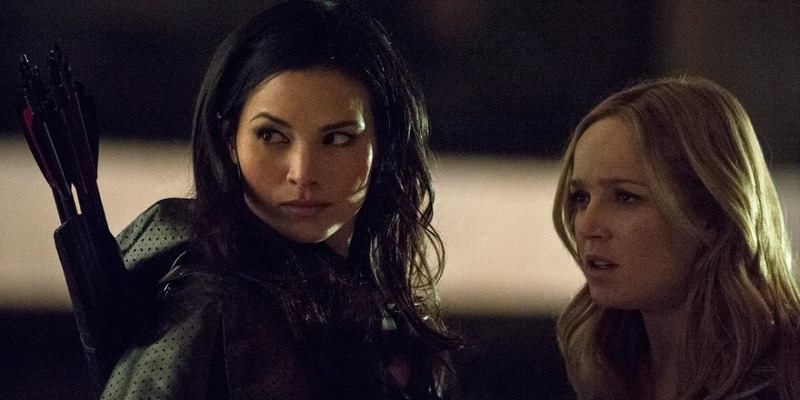 Sarah Lance was revealed to be bisexual during her time on the show as she dated Nyssa al Ghul, and her sexuality continues to be an important part of her identity on Legends of Tomorrow. It’s no secret that some ideas for comic books never see the light of day. Not unlike television pilot season, some comics don’t get past the initial pitch stage. Sometimes though, they do, and the can be cancelled for the silliest of reasons. In 1984 Black Canary was set to the subject of her own miniseries. Greg Weisman and Mike Sekowsky were also set to do the story and artwork, respectively. They got as far as penciling the first issue before the project was cancelled. Why? Because Black Canary was already a major player in the series Green Arrow: The Longbow Hunters. It seems like DC didn’t want to have two versions of the character on store shelves at the same time. Weisman eventually wrote the animated short film Green Arrow as part of the DC Showcase series and was able to incorporate some of the items he originally wanted in his comic. Of course, that didn’t release until 2010 -- 26 years later. When the Black Canary was first introduced in comics, she was Dinah Drake, eventual wife of the Gotham detective Larry Lance. A few decades later though, the Black Canary was a whole new Dinah, thanks to one very impressive retcon. It became apparent in the 1980s comics that Dinah should have been much older than she appeared, and when the writers were called on it, a solution was created to have her daughter pick up the mantle of Black Canary -- though the retcon made it clear that she already had. Dinah Lance’s memories were actually those belonging to her mother, Dinah Drake. Drake wanted her daughter to carry on her legacy when she could no longer be the Black Canary thanks to radiation poisoning, so she’d secretly visited her daughter (who had been in suspended animation due to her being “cursed” with an incurable Canary Cry), and Johnny Thunder’s Thunderbolt and Superman made the memory transfer happen. It’s not just Poison Ivy who has an affinity for plants in the DC comic book world. Dinah owned and ran her own florist for a few years in the comics. When Dinah and Oliver moved to Seattle in the 1980s for Green Arrow: The Longbow Hunters, they needed a cover for their superhero adventures. Dinah opened Sherwood Florist on the ground floor of a three-story building. The second floor was all hers, while the third belonged to Oliver, allowing them their own living spaces and training areas. If the name sounds a little punny to you, that was intentional. The writers chose the name as a nod to the Robin Hood inspiration for the Green Arrow. Sherwood Forest was where the outlaw Robin Hood operated from in the classic story. 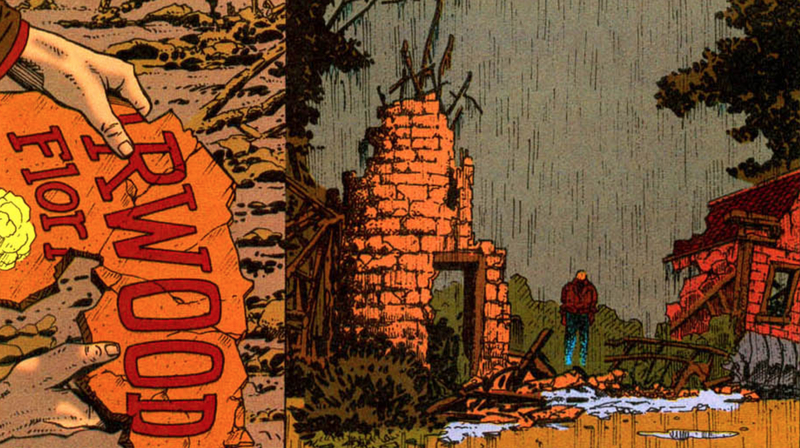 Sherwood Florist made its last appearance in the comics just seven years after its debut as a special issue of Green Arrow’s second volume, designated #0, saw the building left in ruins. 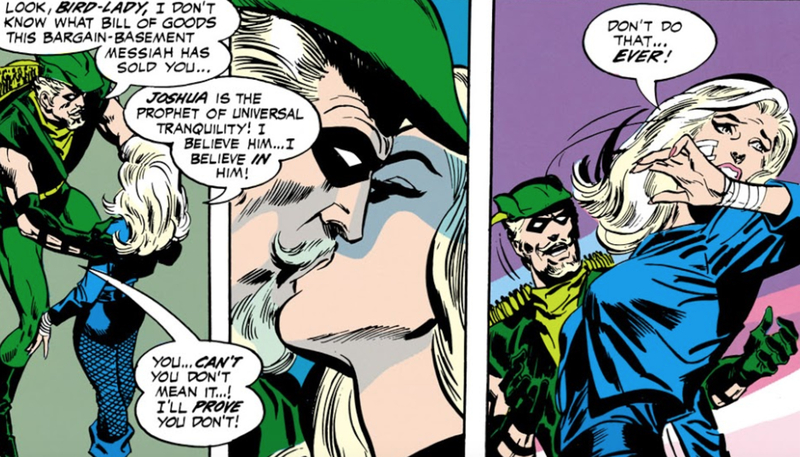 In the 1970s, Black Canary and Green Arrow teamed up with Green Lantern for a few issues, and one of them revealed that Dinah had decided to be a teacher. Dinah decided that being a superhero wasn’t the only way to help people. She thought that helping children was also a worthwhile pursuit, and she ended up getting a job as the gym teacher at Meadowhill School. Of course, she only worked there for about a day. As it turns out, the school’s cook had influenced one of the children, who had super powers, to punish anyone he didn’t like. Dinah ended up as the subject of his wrath at one point, and she, along with Green Arrow and Green Lantern, had to fight the little girl. The girl ultimately used her abilities against the man who manipulated her, bringing down part of the building around them, and Dinah’s career as a teacher ended pretty quickly. When DC comics was deep into its Infinite Crisis arc, most books experienced a time jump. “One Year Later,” made the events of the arc more dramatic as readers were able to see just how much had changed. For Black Canary, that change involved trading lives with Lady Shiva. The two agreed to trade their lives in order to gain more experience in other areas. Dinah hoped that Lady Shiva working with the Birds of Prey in her stead would soften the hard edges of the warrior. Lady Shiva took on the name Jade Canary, while Dinah moved to a Vietnamese shanty town, which is never named, and began a strict training schedule. It’s Dinah who gives up the trade first. She realizes that if she sticks to the harsh life Lady Shiva led, she might not change for the better. She rescues Sin from the same path, taking the little girl in, and returns to the U.S. to help raise her. Dinah and Oliver have had a lot of ups and downs in their relationship, and one of them has left the other when things have been to much for them before, but the real final straw might have been Dinah deciding to leave him while he was in prison. In 2010’s “Fall of Green Arrow” arc, Oliver was sitting in prison awaiting trial for the murder of Prometheus. It was one more thing, as Dinah explained, “to drive a wedge between” them when he lied to her. When she came to visit him, she brought up some of their past troubles - including disagreeing on when to start a family - though she did leave out him cheating on her in the past and starting a separate Justice League without telling her. Her speech culminated in Dinah telling Oliver she realized that he really always wanted to be alone, and leaving her wedding ring for him. In a couple of DC’s comic book universes, Black Canary doesn’t just use her pipes for the Canary Cry, but also to make some sweet music. In DC’s recent WWII alternate reality Bombshells, Dinah is a rockabilly singer, but in her solo series, she’s more of a rocker with a punk vibe. In an interesting bit of promotion, the fictional character and her band have actually released two EPs with a handful of songs on them. EP 1 released in March 2016 to coincide with the first volume of a trade paperback reprinting the series. EP 2 released in August of this year to coincide with the character’s 70th year in comics. With the fictional Black Canary unable to provide her own vocals, someone else had to step in. The songbird on the tracks is actually Michelle Bensimon of the band Caveboy. 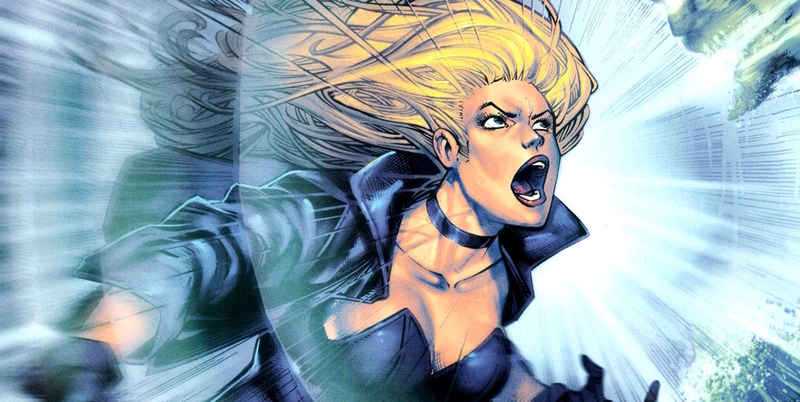 When the Black Canary was first introduced in the comics, she didn’t have this amazing ability to scream-attack her enemies. The origin of it depends on just which comic you’re reading. In the World’s Finest anthology series, Dinah’s cry had alien origins. The implication was that she had somehow picked it up along the way while dimension hopping from one Earth to another. When the 1980s retcon of Dinah Lance actually being the daughter of Dinah Drake was revealed, it was also revealed that she had been cursed by the villain The Wizard as a toddler, giving the cry a magical origin. In more recent years, the cry was the result of Dinah carrying the metagene and developing a metahuman ability, even though neither of her parents did. She also, in a “Secret Origins” issue, was revealed to have gained the ability after being experimented on as part of a secret government group. We know that Black Canary is the lead singer of her band, but that’s not her only musical talent. She can also play the harmonica. Some believed playing the harmonica was just a hobby for Dinah, but it’s not. Playing the harmonica actually allows Dinah to practice controlling her breathing and strengthen the same muscles she uses when she lets loose with a Canary Cry, making it even stronger. Of course, there have been times when Dinah’s Canary Cry has been disabled as well. Then, the harmonica really is just a hobby. 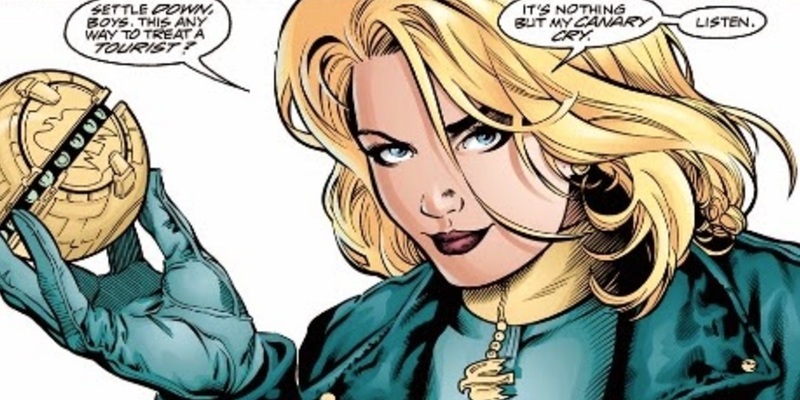 While working with the Birds of Prey and unable to use her abilities, she was crafted Canary Cry Bombs, which did the same job as her abilities, much like Laurel Lance using a collar in Arrow to produce the Canary Cry since she wasn’t a metahuman. While Green Arrow and Green Lantern were road tripping and having a good time, Black Canary went out on her own. After a motorcycle gang attacked her, she was found by a man named Joshua who took care of her. Unfortunately for Dinah, Joshua wasn’t exactly a good guy. He was the leader of a cult, and with Dinah’s memories scrambled because of the attack, she was easily manipulated by him. He hypnotised her to do his bidding, which eventually involved killing the Green Arrow. It was the order to kill him that was able to get her to break the hold Joshua had on her. So distraught by what she’d done - helping a white supremacist - Dinah set to work helping the Native Americans on the reservation Joshua had been targeting. Danuta Wesley was the first to take on the role in NBC’s Legends of the Superheroes specials that began airing in 1979. It took another 23 years before Black Canary came to live action again in the short-lived Birds of Prey. Lori Loughlin played the former superhero while Rachel Skarsten played her daughter Dinah, someone who likely have also taken on the name if the show continued. Alaina Huffman brought the character to life for Smallville six years later, though this time, Black Canary was more of an assassin. Smallville producers considered spinoffs, but none of them came to fruition. Instead, the Arrowverse launched in 2012 with Arrow as the first of four series, and Caity Lotz made her debut as Black Canary in season two. Katie Cassidy’s Laurel took over the role when her sister died, and when Laurel’s character was killed, a new Canary was found in the form of Juliana Harkavy’s Dinah Drake, who is a metahuman. 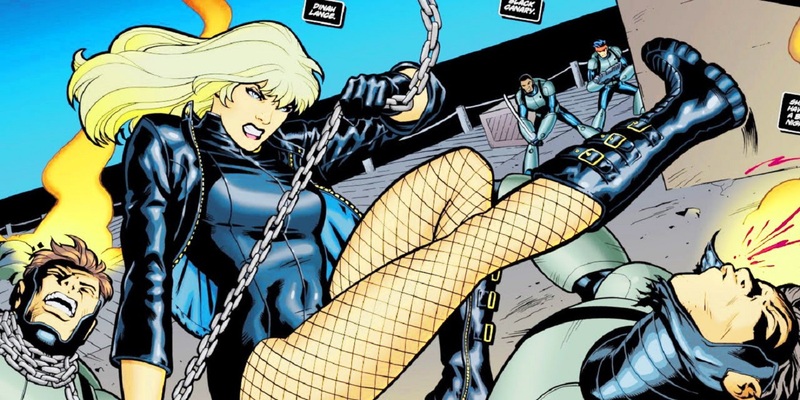 Do you think Black Canary should be introduced into DC’s Extended Universe on the big screen? Can you think of any other interesting facts about her? Let us know in the comments!